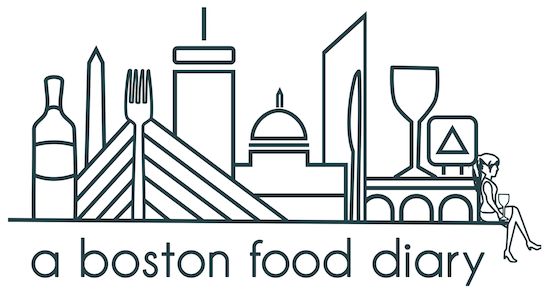 Alright my fellow Bostonian, food obsessed people-do you have dreams of being on TV? Of running your own restaurant? Of working with a close friend or loved one daily? The Food Network has your opportunity! As some of you may have heard, they are rolling out a new series titled 24 Hour Restaurant Battle. This new show will feature competitors, in teams of two, who battle for the ultimate prize- the funding to bring their dream restaurant to life. The competition itself spans a 24 hour period where the selected teams fully conceptualize, develop, and design a restaurant, along with creating a full menu. As time ticks down the competitors must agree on every detail, and produce their menu. They open the "doors" of their restaurant at the end, and serve their concept, decor, and dishes to diners and judges. Talk about pressure! Think you have what it takes? Think you have a friend/colleague/spouse/relative who has it too? An open casting call is being held here in Boston on Monday, February 8, 2010 from 10:00 am ET to 3:00 pm ET at the Lenox Hotel located in the Back Bay. So what is The Food Network really looking for? Two person teams with pre-existing relationships (brother and sister, mother and son, husband and wife, etc.) who would love the chance to prove that they can run a restaurant. A dynamic front of house and back of house duo. One person on the team will run the front of the house and the other person on the team will be the chef and run the kitchen. All levels of experience (culinary school trained to home cook, little or no restaurant experience to a lifelong career in restaurants) will be considered. Lots of energy and charisma! We're seeking personalities that pop. If this sounds like an opportunity made just for you (and your chosen partner) then head on over to http://24hourrestaurantbattle.com/ click on the Application tab and download TWO applications-one for you and one for your partner. Fill out both and bring them (and recent photos of you both) down to The Lenox (61 Exeter Street, Boston, MA) on February 8, 2009 between 10:00 AM ET and 3:00 PM ET. Good luck everyone! This is a show I can't wait to watch! Are you going to try out? Nah-I dont think so. Its a fun show to watch though!